Lockheed Martin (NYSE: LMT) has received a $100.6M contract modification from the U.S. Air Force to design, develop, integrate and test subsystem design changes for the extended range variant of the Joint Air-to-Surface Standoff Missile system. The project will center on the JASSM-ER wings and chines and work under the modification is scheduled to conclude on March 31, 2023, the Department of Defense said Thursday. 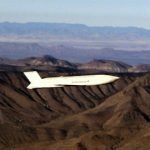 USAF initially awarded the company a $51M contract in September to support systems engineering and programmatic activities related to the JASSM-Xtreme Range platform. One month later, Lockheed received a separate $390.7M contract to produce 360 units of the ER missile variant. The service branch will use fiscal 2019 research, development, test and evaluation funds on the latest modification. JASSM missiles are designed to engage fixed and moving targets with the use of routing and guidance technologies.